I never expected that my first trip to Singapore will give me another opportunity to visit the said country again plus another nearby country, Indonesia. Not only another visit, but getting an awesome doze of pampering to the max, together with my wife Wilma, at both countries. I was fortunate to have met a local media in Singapore who invited me to join her in a hotel launch after attending the Speciality and Fine Food Asia happening that July together with the Restaurant, Pub and Bar Asia, food-related trade fairs that happened at the Suntec Singapore Convention & Exhibition Centre. I was the only media / blogger who came from the Philippines that was earlier invited by the Singaporean-based PR handling the event. 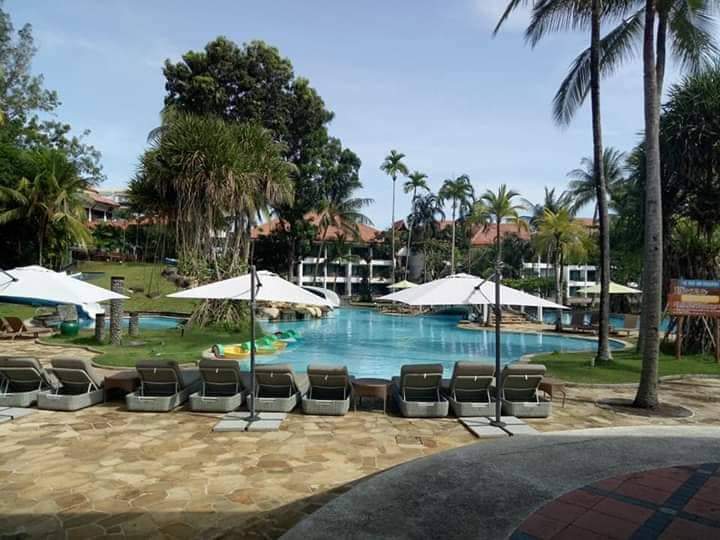 Eventhough the invite to return to Singapore and visit the Bintan Lagoon Resort in Indonesia was as early as July of this year, I decided to return in November during my wife's birthday week. Her birthday was on November 13, so our chosen dates were from November 11 to 14. 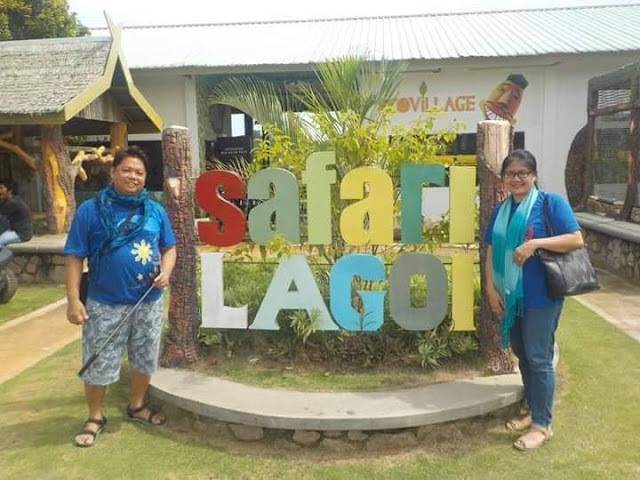 We would have stayed longer but we were not sure if we can afford to miss the so many other events and responsibilities waiting for us back in the Philippines. Our gateway is through Singapore, so I planned to spend at least an overnight and a day in Singapore too after we returned from Indonesia. Our stay at Cube Boutique Capsule Hotel at Kampong Glam was more than surprising because even though I already toured the place during it's launch last July, I never thought that they provide a sumptuous buffet breakfast, complimentary slippers, toiletries, and even towels that you'll never expect to find at a supposedly backpackers hotel. I will share photos, video links and more details of our experience there on a separate blog post. We wanted to go to Malaysia also, specifically to Legoland, but we thought that would be pushing it too far. I don't think I have enough storage space on my three smartphones or on my Sony mirrorless camera. I also brought my GoPro Hero and a new Nikon camera that I recently won only a few days before our Singapore and Indonesia trip, but it was really more convenient and of better quality to just use my new smartphone which has a superb camera resolution. I just used my cameras when I ran out of power on my smartphones and power banks. 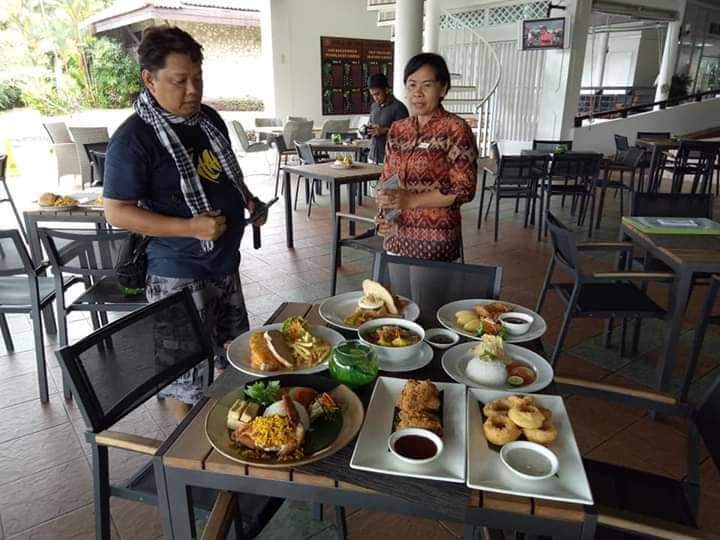 Apparently, we had so many activities done during our special heritage and eco farm tour, courtesy of Indo Bintan Travel and Tours, that all our gadgets we're not enough to cover everything in the six-hour long tour. I will tell you more about the details of this tour on our next blog post....This will be a series of articles documenting almost everything we've done throughout our 4-day out of the country adventure. Visiting two countries was already a handful, and it would be better if we just visit Malaysia when we could fully maximize our stay there. We already have itineraries planned as organized by our accommodation, meals, activities, and tour sponsors in Indonesia, and another set of special accommodation and meal sponsors in Singapore, and the only thing we paid for out of our own pocket was the Singapore River Cruise, taxi and train transpo within Singapore, and our round-trip flight to Singapore. I never bothered to look for more sponsors in Singapore since I was already able to visit the primary attractions of interest for me, like the Gardens by the Bay and Universal Studios Singapore, and a few more, during my first visit last July. Our ferry trip from Singapore to Indonesia was also shouldered by the resort, the 70 minute travel from Singapore to Bintan island was like a quick yet lonely trip since there were only a handful of people on board inside a very spacious boat that could accommodate maybe a hundred passengers. It makes you think that the island may truly be catering to only the affluent. We are so blessed to be going there that afternoon. You may call it a lavish or luxurious experience, but the days spent in Indonesia was designed to really pamper you to the max. In fact, I was boasting that we felt like among the affluent because we were given meal credits amounting to hundred of thousands. But after learning that 1 Singaporean dollar (SGD) is equivalent to 10,000 Indonesian Rupiah (IDR), a US dollar (USD) is equivalent to 1.37008 SGD, and 1 IDR is equivalent to 0.00363947 Philippine Peso (PHP), I realized it was because the value of the Indonesian currency is just too low to make it seemingly like we spent millions. So our budgeted daily dinner credit of IDR 420, 000 per person is equivalent to only PHP 1,528.88. There's two of us so our lunch credit was IDR 840, 000 or PHP 3,058.45 only. Very much affordable for Filipinos or anybody else from other countries considering how much food we can order from that meal credit. It was more than a meal but a festive feast. Don't forget about our lunch credit, while breakfast was complimentary every morning. These amounts are part of the Chillax package given to us. The Chillax package is designed for a three days and two nights experience. The Chillax package cost IDR 4, 042,500 per person so meaning the two of us we're given a total of IDR 8, 083,000 credit to enjoy our stay at Bintan Lagoon Resort. That's actually equivalent to only PHP 29,457.45. 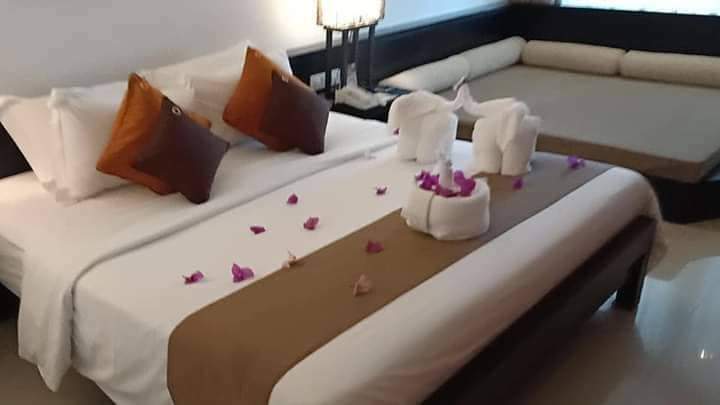 Again, very affordable considering the luxury we have experienced. 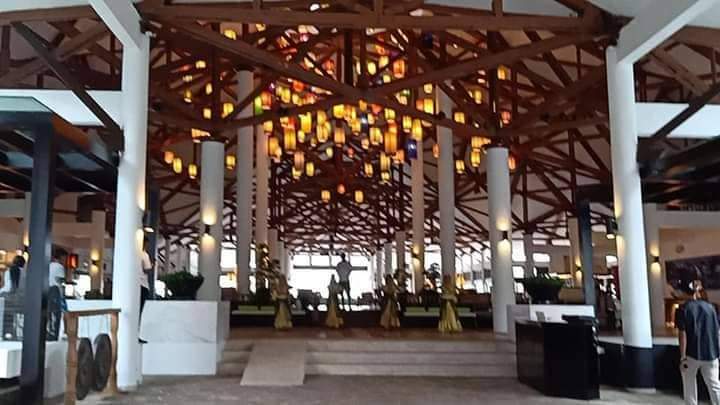 If we compare it with our spending in the Philippines, the cost of stay in this Indonesian island resort is a lot more attractive. If you'll check the details of what the package is composed of, you'll see that the cost is truly value for money. The Chillax Package is meant for single or 2-to-go travellers. Perfect for me and my wife. They also have other packages available like the Fun & Stay Family Package, the Rejuvenate Package, the Golfer's Stay Package, the BBQ Villa Package, and the Villa by the Beach Birthday Package. But wait, there's more! 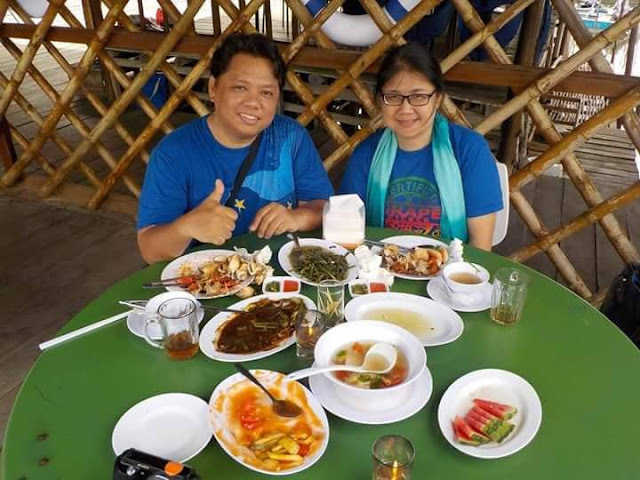 I have to also mention our special Heritage and Eco Farm Tour with Henry, our tour guide, and organized by Pt. 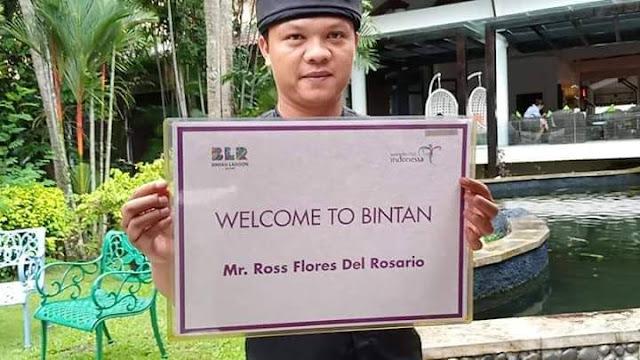 Indo Bintan Tour and Travels, where we went to several destinations starting at Safari Lagoi, aaChinese temple, a Muslim temple, a public beach, and culminating to a festive late seafood lunch feast at Bintan Mangrove in a restaurant in stilts....and going back to our resort in the late afternoon. The entire tour cost only IDR 1,000,000 per person equivalent to only PHP 3,643.830. There were two of us so our IDR 2,000,000 tour is only PHP 7,288.083. That price is relatively cheaper compared to others. Again, more details will be written on a separate blog article mentioning all the details of the tour. More photos, video links and details on the actual blog at WazzupPilipinas.com and a series of articles discussing more details of every destination and restaurant we visited. This is just an overview or introductory of everything but soon proceeding to write the details soon...so I'm coming out with a series of blogs...like a separate blog article for Bintan Lagoon Resort, a sepate for every restaurant visited in BLR including Malayan Council in Singapore, another one for the Bintan island Heritage and Eco Farm tour, another for the Singapore tour, another for Cube Boutique Capsule Hotel, etc.